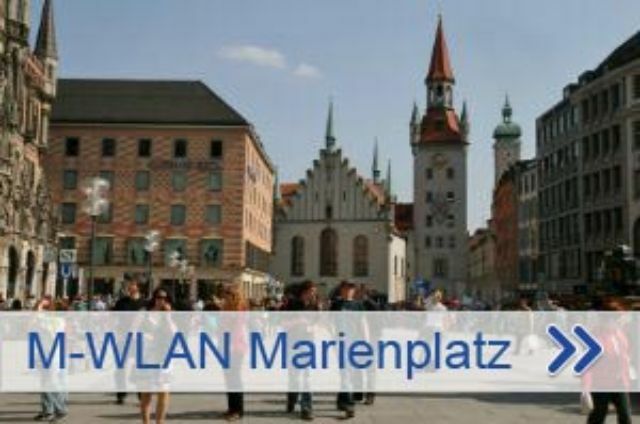 Also, a collaboration of Stadtwerke München, the municipal energy suplier, M-net, the Munich internet and telecommunication provider as well as muenchen.de, the official Website for the City of Munich, have set out to provide great open spaces like the Marienplatz with free wireless LAN. M-WLAN is for residents and tourists - or simply for anyone with a mobile internet device. It's for free and it's fairly easy to use. Just accept the terms of service (TOS) and go. You don't even have to register. You can simple surf the internet for one hour before you're automatically logged off. If you want to browse a couple of more pages - no problem. Just log right back into M-WLAN.